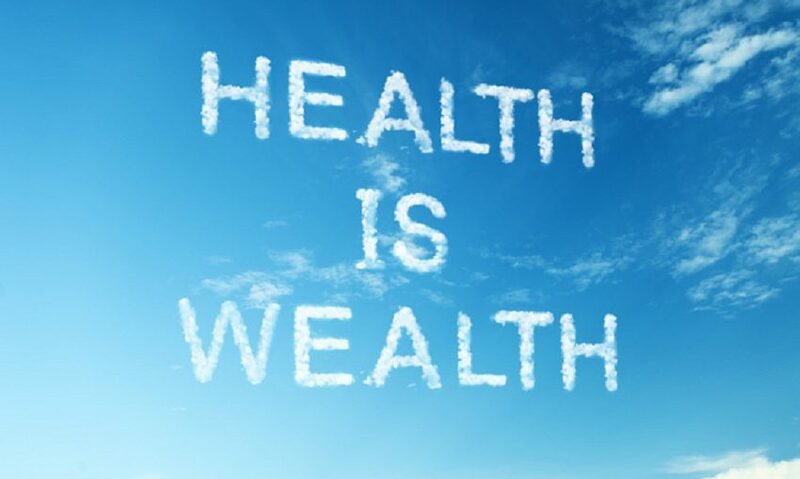 The popular saying that we all have heard at some point while growing up from our elders is “Health is Wealth”. Ofcourse, we were ignorant and we didn’t bother to realize the significance of this statement in real life. As time passes and we become more aware of our surroundings we understand the basis of this saying. It is very important for every single human to understand the actual significance of maintaining a good health. Being helathy doesn’t mean not having any kind of medical condition of diseases. Health is more about enjoying all the perks of life, being mentally sound and happy. Diet: Diet is one of the important factors that impacts the life in various ways. Every food that you include in your diet – be it fast food or street food- has a significat affect on the health of an individual. Proper diet can save an individual from common lifestyle issues such as high cholestrol, diabetes or fluctutaion of blood pressure. It is advisable to start a day with healthy breakfast which should include cereals, milk or juice. Packaged snacks should be replaced with food items such as fruits, dry fruits, etc. The dinner should always be light and should be consumed 2 hourse before going to bed. Exercise: Any kind of physical activity that involve increased heart rate, sweating and fresh air should be practiced on regular basis. It may be tough to bring it in routine initially, however, once you get used to it and become aware of the benefits that they give to your body, you may start making time for it no matter how busy the schedule remains. Exercise can be anything like swimmming, jogging, cycling, dance, sports, etc. Exercises and not only keep the body fit and diciplined but also helps in keeping the mind sound. Ask a doctor: A doctor should be consulted on regular basis once you have entered in your 30’s as this is the time when an indiviudal start getting health issues such as blood pressure fluctuations, diabetes, etc. Consulting may help you find the dieases that you may be vulnerbale to, because of the genetic issues. These problems can’t be avoided but early diagnosis can help cure the diseases. Also, we tend to ignore certain changes in the body, assuming it as a change due to age or climate. However, it may be a result of certain underlying medical conditions. If an individual has entered into late 40’s or early 50’s, then it is necessary to go for routine check up. Cleanliness: It is one of the essential factors for good health. It may become quite tough to maintain a proper health without staying clean. Staying in unclean shelters is home to many diseases such as jaundice, malaria, TB,etc. Clean hands- Always wash you hands with soap before and after consuming food. One should always bath twice a day to prevent any kind of skin diseases. House and surrounding areas should be cleaned everyday. Unclean surrounding is home to various diseases, hence garbage should only be thrown in dustbin. There should be a proper disposal unit and drainage system to avoid water clogging. Essentials: Good health depends on several factors mentioned below. Sunlight: Sunlight is a rich source of vitamin D which is very essential for our body. Fresh air: Air is one of the necessary components for all the living beings to survive. Fresh air is essential for improvement of immune system and overall health. Thus, medical professionals always suggest waking up in the morning and engaging in some kind of physical activity. Clean water: Clean and pure water should be used to perform daily chores, as dirty and damp water can be a reason of lots of diseases. Pure and clean water should be used for drinking purpose as unclean and contaminated water is the cause of several health conditions. Avoid bad habits: Habit of smoking cigarette, tobacco and alcohol can become very much injurious to health leading to several health conditions such as cancer and lung diseases. These habits shorten the life span of an individual and affect the environment also. If an individual is indulging in these habits, one should consult a doctor to find out ways to quit these habits. To keep the body healthy should be duty of every human being as health is the greatest gift. Even one disorder or bad habit can obstruct us from leading a normal life. Once our health deteriorates, no wealth can help after a certain point of time. We tend to ignore certain health issues while keeping ourselves busy in earning money. Eventually, we spend all those hard-earned money on health by visiting a doctor. So, instead of ignoring health in early stages of life, we should take proper steps and indulge in good habits which do not harm our body in anyway. Good health is one of the most important factors for maintaining emotional balance and happiness of a person. No matter what the income is, an individual with sound health can lead a happy life and earn wealth.